Never trust someone who says, “Ew, highlighters are ugly.” Chances are, they haven’t found the right highlighter for their skin tone because there’s something for everyone in the market. Introducing some of the best highlighters you need to try from super striking ones to natural-looking dewy ones. Stay tuned! Get your BECCA on here. These highlighters blew up instantly after beauty You Tuber Jaclyn Hill promoted her custom shade Champagne Pop to the makeup universe. Unbelievably shimmery, luxurious, and pigmented, these babies come in different shades to compliment different skin tones so you definitely won’t be stuck with a bad streak on your cheekbones. Slightly on the pricier side, you’ll be getting a lot more from what you paid for because a little goes a long way. Some say it’s natural, some say it’s pretty dang glitzy. All in all, a bottle lasts for a long time and the champagne undertone makes it versatile for a number of skin shades. Cream highlighters like this Benefit one is perfect for the lazy gal who needs an instant perk-me-up wherever and whenever. Easy to apply, you can just whip it out of your makeup bag for a makeup fix when your skin’s looking a little dull. Visit your local NARS branch for more details. A cult favourite, this shade is absolutely gorgeous in the bottle and outside of the bottle. Mix it with your foundation or BB/CC Cream for that overall glow-from-within look or make yourself appear like the radiant goddess that you are by dotting this on your cheekbones as you normally would with a normal powder highlighter. Liquid ones like this NARS one however, is a practical choice if you’re someone who prefers spending on a multi-purpose product. Visit MAC Malaysia in stores or online here. This one may not give you that wow-effect like most highlighters, but the sheen from it is subtle enough if you prefer a natural finish. Many professionals use it by swiping it all over the face after foundation for a soft ethereal glow. 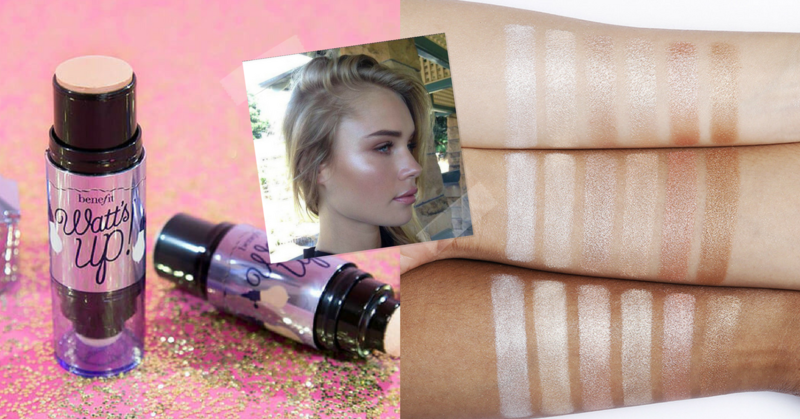 So if you don’t subscribe into the whole shimmery highlight trend, you need to get your hands on this product for a healthy and natural look that’s to die for. Shop for NYX at your local Sephora. Of course we’d include cheaper alternatives here, plus NYX is a go-to brand for quality products without the financial burden. Similar to NARS’ Hot Sand Illuminator, this NYX one can be mixed with any base for an overall glow and is equally fantastic if you’re seeking for a dramatic sheen on your cheeks. Some reviewers find it a bit too intense so unless you’re into that, swatch them in your local Sephora to find the right match and you’re set to go. Shop on Colourpop’s website here! Dang, for something that costs 8USD, these highlighters are popping. It comes to no surprise that Colourpop is one of the best beauty brands (not to mention one of the best affordable), but the release of these Super Shock Highlighters really shocked every makeup lover with its amazing pigment that comes in a unique consistency. Use it however you want to, but a few birds in the beauty world told us that due to its texture, a damp sponge gives out the nicest sheen compared to brushes and fingers. I'm a soft and sleepy creature from the tropics of Borneo who enjoys living life as a modern bohemian singing songs on my ukelele and online shopping.